Street Drugs can be referred to drugs that have no medical purpose, meaning you cannot go to a doctor and get a prescription for them. They may also be called Illicit Drugs. This type of drug would be classified a schedule I substance by the U.S. Drug Enforcement Agency. Street Drug addiction may be the most dangerous type of addiction. Generally, Street Drugs are illegal to make, sell, possess, and use. They are highly addictive and pose extreme health risks. This type of addiction will begin with experimentation out of curiosity. Over time someone can become hooked on the mental and/or physical effects produced. Someone can become chemically dependent on a substance, meaning their body will require the drug in order to prevent withdrawal symptoms. Someone can also become psychologically addicted to these substances, meaning they believe they need the drug but there may not be any withdrawal symptoms associated if the substance is abruptly stopped. User’s can become both chemically and psychologically dependent on Street Drugs, this can be considered addiction. When someone is addicted to Street Drugs, their whole life will revolve around getting, using and finding ways and mean to get more. They will stop at nothing to get their next fix. This type of behavior can devastate families. Addicts typically hurt the ones who love them the most. This is because loved one’s of addicts want to do anything they can to help, and the addict may take advantage of this. It is important to recognize that addiction is not a weakness, a choice, or a moral deficiency. Over the past few decades, research into addiction has came to the conclusion that is a disease of the brain. If you have a loved one who is addicted to Street Drugs, the only way to help may be to stage an intervention. An intervention is where family members and loved one confront the addict about their drug use. This is not an easy task because many addicts will be in denial about their problem. A professional interventionist will be able to guide the family through an intervention in the healthiest way possible for everyone. They will teach the family how to express their love, concern and hope in a way that will keep the addict from feeling attacked. They will also help in finding a treatment facility, travel with the loved one to the facility to get them through the intake process, and be there for the family and addict throughout every step of the recovery process. Since Street Drugs can belong to a few different classes, stimulants, depressants, or hallucinogens, the signs and symptoms of use will be varied. Drugs are grouped into these categories based on their effects. Stimulant drugs tend to bring the user into a heightened state of activity. They also increase heart rate and brain activity. Depressant Street Drugs act to slow down the central nervous system, affecting the respiratory functions. They suppress or delay brain function. Hallucinogenic Street Drugs alter the user’s perception of space, time and reality. Street drug addiction may combine multiple drugs at one or alternate between them, there are certain symptoms that may indicate addiction. Aggressive behavior, violent mood swings, withdrawal from family and friends, sudden changes in energy levels, and legal or professional consequences can be signs that Street Drugs may be being abused. When someone is abusing Stimulant drugs, there are certain indicators to look for. Taking high doses of a stimulant can result in an irregular heartbeat, high body temperatures, raised blood pressure and heart rate. These smptoms can be dangerous if displayed for long period of time. Seizures and cardiovascular failure are a potentially fatal effect of Illicit Street Drug abuse. Some common signs of Stimulant use are euphoria, dry mouth, faster breathing, dilated pupils, increased energy, decreased fatigue, and decreased appetite. Depressant drugs work to slow down brain activity. When some is abusing depressants, they will have slowed breathing, tiny pupils, have a tendency to nod off, and flushed skin. Abuse of depressants can lead to respiratory failure because they work by slow central nervous system. Common signs of illicit depressant abuse are vomiting, scratching, slurred speech, constipation, nausea, and covering arms with long sleeves. Street Drugs are a variety of substances that each will have their own withdrawal symptoms. Withdrawals occur when someone who’s body have become chemically dependent on a substance and that substance is abruptly stopped. Withdrawal’s are varied depending on the substance abused, the length of abuse, and amount of drug that is being abused. Withdrawals can last anywhere from 3 days to a week or more. Detoxing off of Street Drugs is just as varied as the different types of drugs. The safest and most effective way to detox off of Street Drugs is with the help of a medical detox facility. Here you will be monitored by medical professionals around the clock in case complications arise during the detox process. Also, detox facilities have the ability to ease withdrawal symptoms of different substances with the use of medicines. An inpatient facility is a place where a person who is addicted to Street Drugs goes when they need help to overcome their addiction. 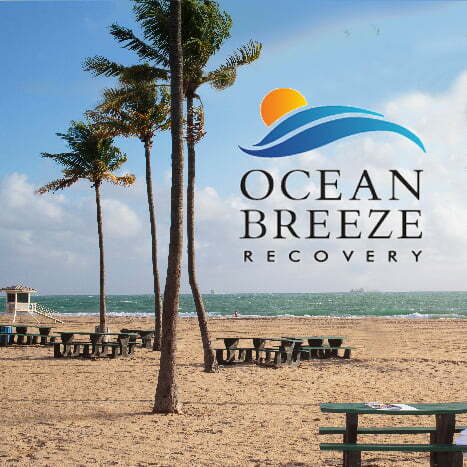 This type of program usually consists of a medically monitored detoxification program, which is key to Street Drug abuse since many have withdrawal symptoms that can be deadly. What they do during a medically monitored detox is they administer the substance in an ever decreasing dose to help manage the withdrawal symptoms until the dose is low enough that the body won’t go into severe withdrawals when stopped. These programs can run from 30, 60 to 90 days depending on the severity of the addiction and any underlying problems. Inpatient rehab is the most effective form of treatment for Street Drug addicts because it gives the patient enough time to get their head clear from all the drugs they were abusing and gives the them tools to cope without their drugs. Outpatient treatment programs vary from program to program. They usually consist of the person traveling into the facility multiple times a week for group therapy or individual therapy. This form of treatment should only be considered after some who is addicted to Street Drugs first undergoes a medically monitored detox because the dangers that withdrawal presents. When someone is entered into an outpatient program they remain in the same area where they were abusing drugs which can be difficult for some. The benefits of outpatient treatment is that you are able to continue to work, go to school or take care of obligations, this can be a good thing but it also can be a bad thing. Not focusing on recovery as a top priority can lead to relapse sense the addict is still in the same surroundings as before seeking treatment. It is important to weigh all your options before you commit to entering treatment, choosing the right program is vital in achieving long term recovery.